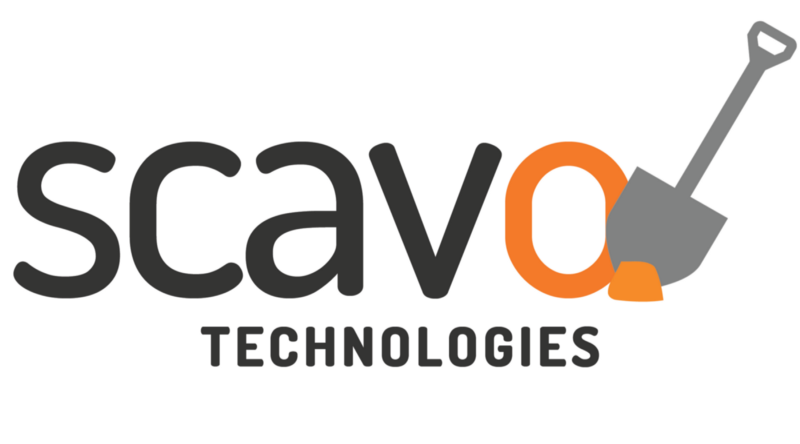 SCAVO technology is in the industry of telecommunications in Argentina. It involves construction of telecommunications data center infrastructure for crypto mining, using renewable resources. The project intends to solve three problems inherent in the modern cryptocurrency mining industry. Mining cryptocurrency requires a huge amount of electricity, which is one of the main sources of costs of miners. Scavo has developed a new principle of providing mining centers with electricity using renewable energy sources, the cost of which is almost zero. Centralization of mining in connection with the placement of farms in the countries with the most favorable conditions. Thanks to the Scavo solution, which allows to significantly reduce energy costs, mining center owners will no longer select a place for farms based on the price of energy in the regions. Creating a self-supporting mining center is an expensive process. To do this, miners need to build their own power station, but the Scavo solution allows them to do without it. Thanks to the technology of Scavo, it takes 12 months to establish a fully independent mining center. Scavo will be responsible for finding the optimal location for the farm and power plants, buying equipment and delivering it to the destination. The company will also be engaged in the Assembly of farms and organization of the cooling system. The main principles of the company’s work is to provide access to clean electricity at a very low price, the use of industrial-class components for the production and assembly of various blocks that make up the cryptomining complex, energy efficiency and the necessary reliability for the process of mining cryptocurrencies in the long term. Energy independence has become a key principle in the creation of the project. Achieving this goal allows to get rid of binding places with the cheapest energy, and also protects against fluctuations in electricity prices and changes in energy policy. Renewable energy sources make it possible to build mining farms even in countries where electricity prices simply make mining unprofitable. Building own power source takes 12 months, after which energy costs will decrease from $0.12-$0.15 kW/h to $0.01-$0.015. At the same time, the minimum service life of such a facility will be 10 years. In addition, SCAVO token is based on ERC-20 standard where total token supply is 200 000 000. 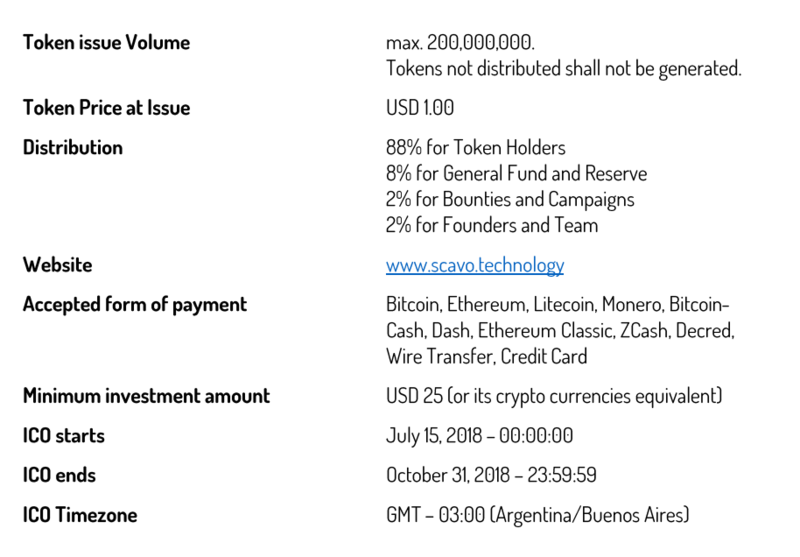 The price of a SCAVO token is stated as USD 1 where all the payments are accepted only from bitcoin , ethereum , litecoin , monero , bitcoin-cash , dash , ethereum classic , zcash , decred , amero , ultranote , wire transfer and credit card. The minimum amount to be invested is recorded as USD 25. The total token supply is expected to distribute as follows.